There were bicycles you could use for free to go for a ride which was a very nice perk. Location was great for our trip to visit family. Bed was very comfortable. Breakfast was very good. Bed was comfortable. Staff were responsive when I lost my key (think I left it in a restaurant as it must have fallen out of my pocket). Everything else. The room was essentially a studio apartment! Great deal for the money. I always stay at this place when I'm in Boulder. On this particular stay we had a surprise snow storm and I checked out, expecting to be able to drive home, but that was impossible so I called to ask if I could check back in. It was around 11 am when I made it back, and though it was early, they found me a clean room so I could have one right away. So awesome. Breakfast was bottom of the barrel gas station snacks. High Fructose Corn Syrup was the #1 breakfast item. Crappy little tiny hostess mini muffins. There was insanely loud noise all night coming from the other rooms. Yelling and running in the hallways cursing. Manager did nothing. WE were up all night. We liked that it was close to a party we were attending, and that they allowed dogs, that was it. The bed was very comfortable and the pillows were amazing. The room was very clean. The staff was very accommodating. The continental breakfast exceeded my expectations. I will definitely stay again. The proximity to our family was good; the young lady that checked us in was nice and gave us a ground floor unit so we wouldn't have to lug suitcases upstairs. 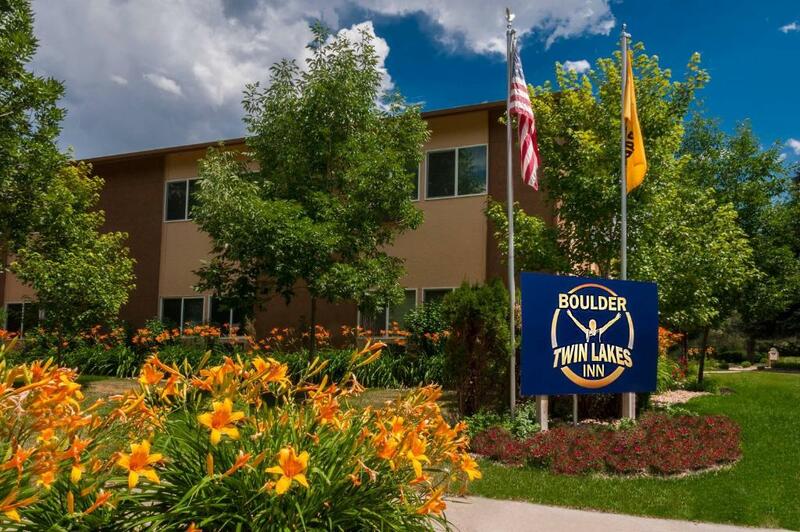 Boulder Twin Lakes Inn This rating is a reflection of how the property compares to the industry standard when it comes to price, facilities and services available. It's based on a self-evaluation by the property. Use this rating to help choose your stay! One of our best sellers in Boulder! 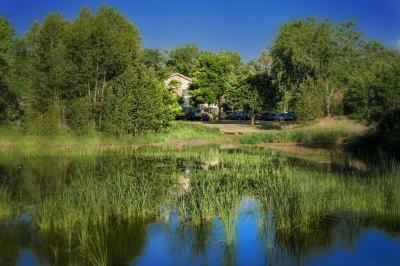 This hotel is a 15-minute drive from Boulder and is adjacent to Twin Lake Park, which features a pond and trails. The hotel offers suites with free WiFi. Boulder Twin Lakes Inn suites are equipped with kitchenettes with a microwave and refrigerator. The suites have a spacious living and dining area, as well a work desk. Guests at the Boulder Inn can relax in the hot tub, which is available all year. After enjoying the breakfast buffet guests can explore the area on bikes provided by the hotel. 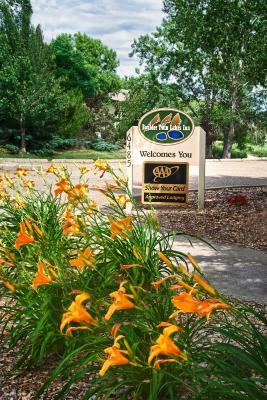 Twin Lakes Inn is 1.4 mi from the Gunbarrel Shopping Center. The University of Colorado at Boulder is 6.3 mi from the hotel. 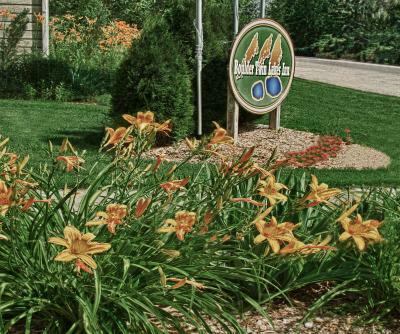 When would you like to stay at Boulder Twin Lakes Inn? This spacious room has a seating area with a sofa bed. A kitchenette, a flat-screen cable TV and a private bathroom are also include. This room features free WiFi, a seating area and a flat-screen cable TV. A kitchenette and a private bathroom are also included. This room features free WiFi, a seating area and a flat-screen cable TV. 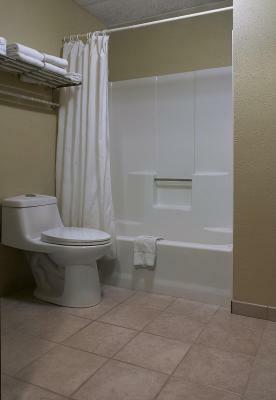 A kitchenette and a private accessible bathroom are also included. House Rules Boulder Twin Lakes Inn takes special requests – add in the next step! 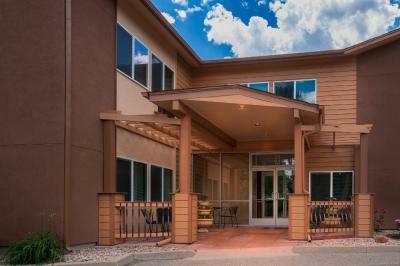 Boulder Twin Lakes Inn accepts these cards and reserves the right to temporarily hold an amount prior to arrival. A bigger sign out in front to make it a little easier to find. I would say that not having an elevator was a big downer. When I booked the room they put me on the second floor and I had to haul my suitcase up a set of stairs with a bad knee. There was also no staff at the desk when I arrived and it was pretty confusing for checking in As they just had a key in an envelope that didn't even have my name on it. Our room (206) was next to upstairs kitchen. It was in aggressive use way past 10pm at night and kept us awake. Very disturbing and noisy. No pets allowed upstairs yet reception person took their dog upstairs. There was no elevator - the hot tub lid was awfully heavy to move - but it was nice to have the hot tub and the hours were good for it. Super ugly. Updated in strange ways. Pictures were wildly flattering. Most of the staff were unprofessional, complaining to eachother about the horrible work environment. It is in a neighborhood and near nothing within walking distance. That I got to leave. The place is getting more run down every time I stay there. Used to be family run and catered to international travelers and athletes, seems to be more of a transient hotel now. Good price, semi-rural location. Big rooms. did not like hand sink out in bed area. 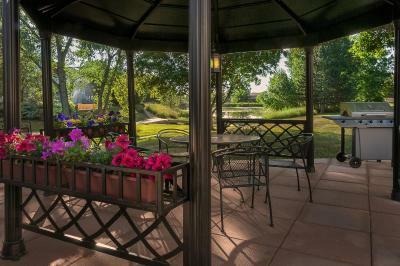 Terrific location by reservoir trails. The room we had looked smaller than it did on the website, but it was still nice. The place was oddly shady. No security for the rooms, the only way to lock it when you are away is the doorknob lock, no deadbolt. And it's the type of doorknob lock you can pop open with a credit card in 5 seconds, btw. Staff seemed confused and unprofessional, they were arguing about who would work when that very same day. Me and my wife got up super early at 4am and on our way out there was a belligerent old woman walking in rambling to herself, turns out later that she worked there, when we came back she was serving breakfast and yawning and complaining like a teenager. Which reminds me, we got in around 10pm and this guy is working, then he is immediately working at 7 am the next day, felt bad for the dude, seemed overworked. Also, old guy in wheel chair in parking lot at all hours of the day just sitting there smoking cigarettes and sht, idk, kinda sketchy place - definitely wouldn't leave valuables in room. Well... it was cheap and the room was big and had coffee and hot water in the shower so that's good enough.